Hotels, Guest houses and bed & breakfast in around near Chiswick London all with real-time, confirmed online reservations. 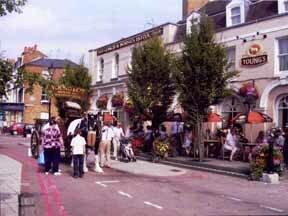 Chiswick is an extensive district of West London, located within the eastern extremity of the London Borough of Hounslow and 5.9 miles (9.5 km) west of Charing Cross. Chiswick is situated at the start of the North Circular Road and the M4 motorway, the latter providing a direct connection to London Heathrow Airport and the M25 motorway. The area is not entirely residential: Chiswick High Road is widely-recognised amongst Londoners as offering a significant variety of retail, restaurants, food outlets and expanding office and hotel space. North of the High Road there's open territory in the form of Acton Green, Acton Green Common, Chiswick Common and, most visible of all thanks to its proximity to the High Road, Turnham Green. Historically, Chiswick is noted as the former residence of the 18th century English artist William Hogarth. His house is now a museum known as Hogarth's House. 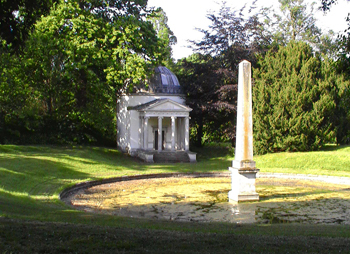 It is also the location of one of the best examples of 18th century Palladian architecture, Chiswick House. Although there are four tube stations in London W4 - Turnham, Stamford Brook, Gunnersbury (to Richmond) and Chiswick Park (to Ealing Broadway), they deal only with the District Line. 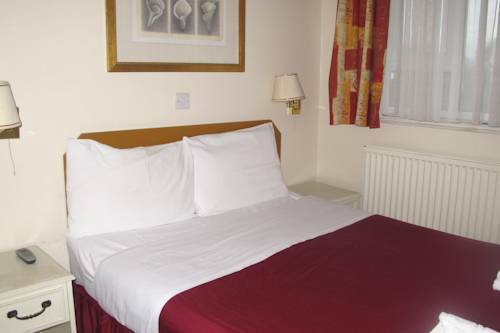 Situated in a residential area of West London, the hotel has been in the hands of the same owners for over 20 years, specialising in providing a dedicated, practical and inexpensive bed and breakfast service. Despite being just a handful of minutes from the M4, with free on-site parking, you may not even need your car. A city centre bus route is outside the hotel, and Turnham Green underground station is an easy walk away, with direct links to the centre and Heathrow Airport. London's newest 4-star deluxe hotel. 123 deluxe bedrooms and suites along with a fantastic Restaurant & Bar. Located in the heart of West London with easy access to all areas of London and the surrounding countryside. 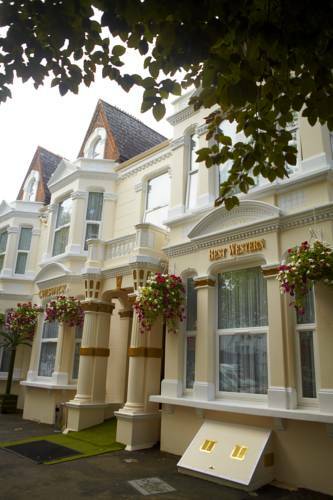 Conveniently positioned on the popular broad tree lined Turnham Green Terrace, this small hotel is ideally situated within 20 minutes of central London and Heathrow Airport. Excellent location, Traditional bar and Restaurant. 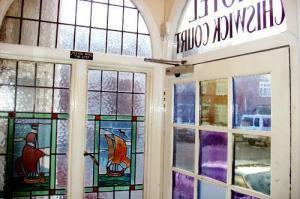 Hotel boasts 31 en-suite air-conditioned bedrooms. Easy access for M4, M25, M3 and South Circular. 20 minutes to Heathrow Airport. 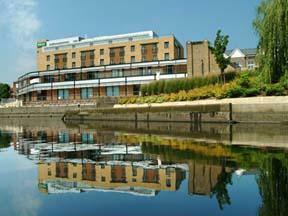 IOn the tree-lined Chiswick High Road, the Best Western Chiswick Palace & Suites London has excellent transport links. Turnham Green and Stamford Brook Tube Stations are within walking distance.